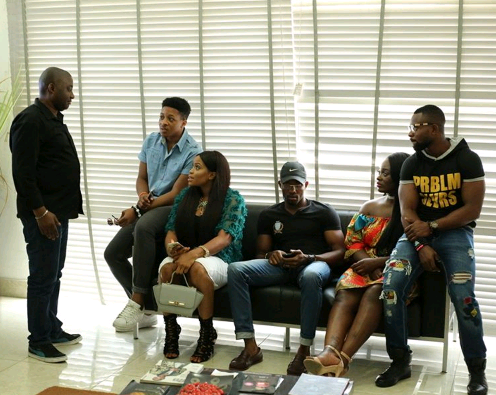 Photographs have emerged of former Big Brother Naija housemate, Ekemini Ekerette, also known as Kemen, in a meeting with other evicted participants of the reality television show at Payporte’s office. 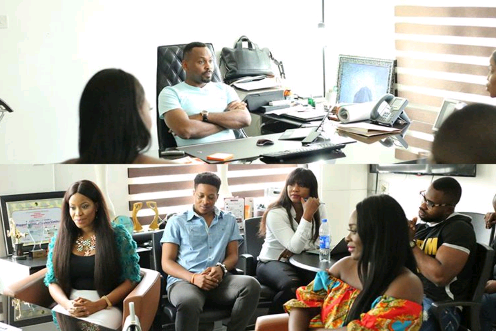 Kemen met with other evicted housemates: Uriel, Ese and Jon; however, the reason for the meeting is unknown. Recall that Kemen was recently disqualified and evicted from the reality show on Sunday night for inappropriate acts with a female housemate, Tboss. However, Kemen has apologised for his action. In a post on his instagram account, Kemen asked Tboss for forgiveness, adding that he over played his game. He wrote: “I knew that everybody was playing the game in the house at the same time competing for the prize. I realised that I overplayed my game which brought about my disqualification“.